Gov Willie Obiano,has ascertained the need to stop the sale and use of petroleum substances and other inflammable goods within and around markets in the state to avert fire incidences. 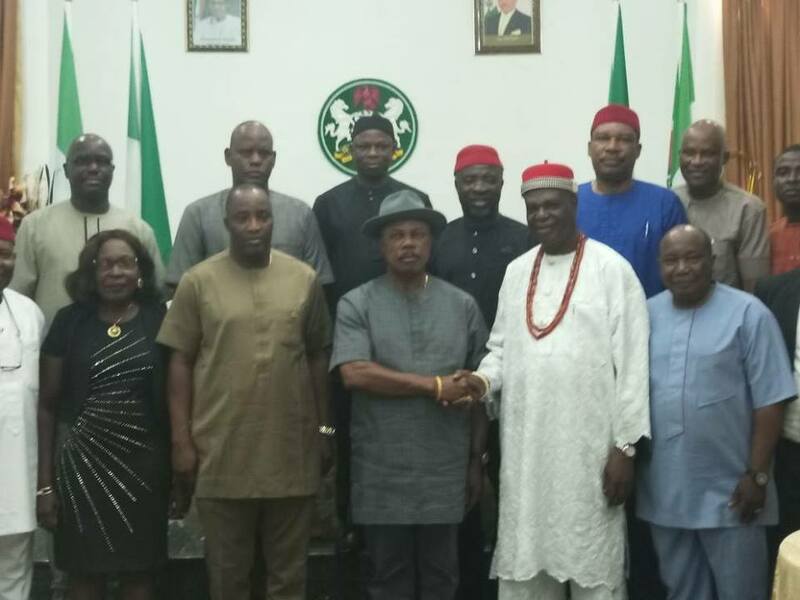 The governor made this assertion this afternoon when he received the report of the panel of enquiry he set up earlier in the year to look into the fire that engulfed Nkwo Ogbe Market, Ihiala, in Ihiala council area of the state. He expressed gratitude to members of the panel for doing a great job and assured that their recommendations will be analyzed for implementation, noting that such fire incidents at markets informed his administration's decision to ban citing of petrol stations and sales of inflammables in market places and around residential areas. He commended the State Fire Service for their efforts in tackling fire incidents in the State and promised that his government will do more to bring the Service up-to standard to be able to combat fire challenges any time. Chairman of the Panel and Traditional Ruler of Ukwulu, Igwe Peter Uyanwa while presenting the report said they consulted extensively with the affected traders and other stakeholders in the community, to arrive at the report,stressed that the team members worked assiduously to ensure quality report based on reality and true facts also that the report was unanimously adopted by all members of the committee. Igwe Uyanwa acknowledged that the report highlighted the need to stop the sale of inflammable and petroleum products at Nkwo Ogbe and other markets across the state as well as the need to empower the state Fire Service for better efficiency and productivity.